Olimpia take on Emelec for the fourth time in under a year in the Copa Sudamericana 2nd round 1st leg in Asunción. The Paraguayans progressed when these two sides met at the same stage of last year’s competition although five of the starting XI from the 1st leg in 2011 have now moved on. Although El Decano looked comfortable against Danubio in the last round the Uruguayans were poor and undoubtedly Emelec will provide a stronger challenge. There will of coures, be a sense of revenge in the air as Emelec knocked Olimpia out of the Copa Libertadores group stages earlier in the year. The probable Olimpia line-up is still unknown (see below) with Gregorio Pérez still trying to find the right blend of attacking and defensive players, he began his time with three cleansheets but they have conceded in their four games since including four goals in the last two games. With no foreign-player restrictions in the Copa Sudamericana the Uruguayan Sebastián Ariosa is expected to come in at left-back which offers more of an offensive threat down that side. Also Maxi Biancucchi is installed into the starting line-up probably at the expense of Arnaldo Castorino. 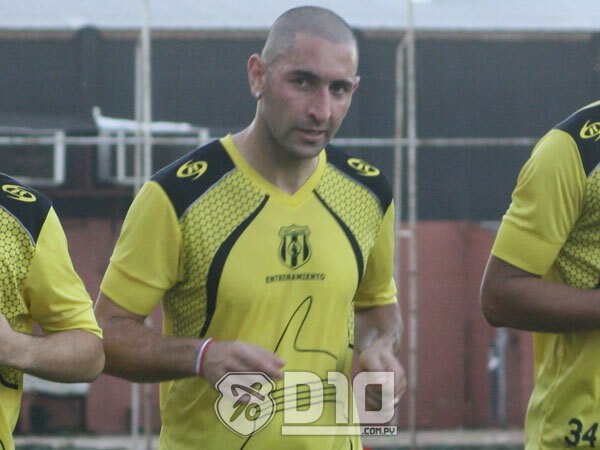 The dangerman recently has been Juan Manuel Salguiero who usually plays just behind the strikers in a 4-3-1-2 formation. However, there is talk of him being dropped to allow Olimpia to play in a more traditional 4-4-2 with defensive players Miguel Amado and Alejandro Silva in the middle; Jorge Nuñez and Richard Ortiz would be on the flanks. That would help protect the full backs against Emelec’s electric wingers. Emelec needed a last minute penalty to get through to this round and in general they have been scraping victories all season, currently second in the Ecuadorean league with a goal difference of just two. They have a strong forward line with ex-Boca Juniors Marcos Mondiani the creative force while compatrit Luciano Figueroa provides power. Enner Valencia is pure pace down the right hand side and in central defence they have Cristian Nasuti who was excellent for Libertad in the first half of the year. It is likely to be a tight game, but the home advantage should be enough for Olimpia to come out on top. The Paraguayan champions take on the Chilean vice-champions in this intriguing clash in Rancagua, it is Cerro Porteño’s first Copa Sudamericana game since 2010. 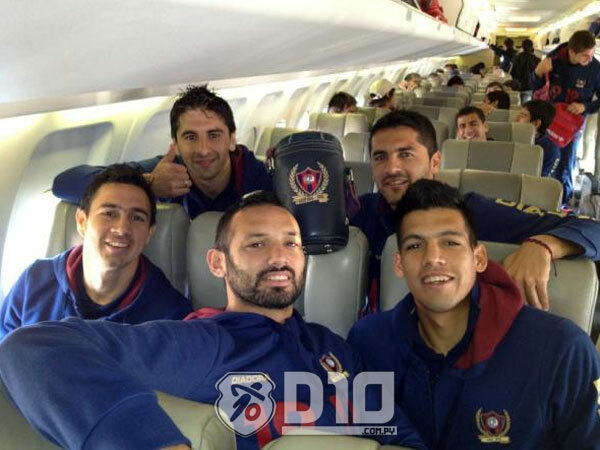 With a host of new signings during the close season the azulgrana are expected to make a big push for continental glory in this their centenary year. Uruguayan coach will stick with his 3-5-2 system that has worked well so far, it is a fluid system with playmaker Jonathan Fabbro getting close to the strikers so at times looks like a 3-4-3. Carlos Bonet, recently acquired from Libertad, is set to make his debut at right wingback while Hernan Rodrigo López was registered just in time and is expected to partner Santiago Salcedo up front. 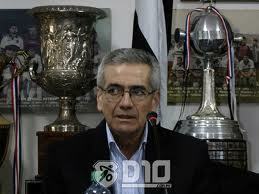 Like Olimpia on Tuesday the emphasis will be on not losing with Fidencio Oviedo a key component in breaking up play. O’Higgins are back on the international stage after a 20-year drought without the man who helped get them there, Enzo Gutierrez, who was snapped up by Chilean title winners Universidad de Chile. 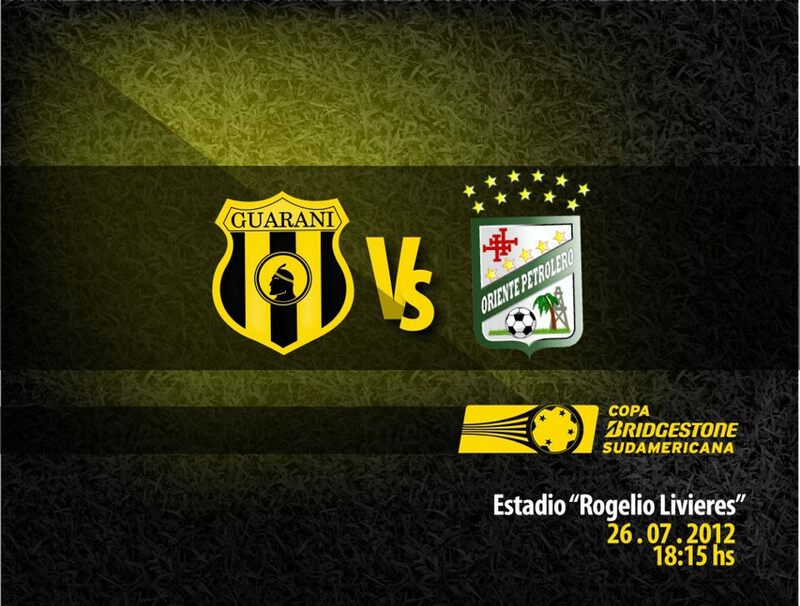 They will probably line up in their familiar 4-3-3 formation which includes Paraguayan Rodrigo Rojas in midfield. He is a dangerman but the away side look stronger all over the pitch and I expect Cerro to take at least a point here. Guaraní begin their new era under fledgling coach Diego Alonso, the 37-year-old comes from Bella Vista in his native Uruguay. It is their fourth appearance in the Copa Sudamericana and they want to try and go one better than their previous participation in 2010 when they reached the 2nd round. Pre-season friendlies have seem the aborigen line-up in a standard 4-4-2 and their strength certainly lies in midfield with plenty of options to toy with. The Uruguayan duo of Marcelo Palau and Sergio Orteman will try and dominate the game in central midfield, if Oriente give the latter too much space they will be punished. The youngsters Luis de la Cruz and Blas Cáceres seem to have been favoured on either flank but Alonso will have similar options on the bench with Dario Ocampo and Iván Gonzalez Ferreira. Oriente Petrolero are one of the better teams from Bolivia and ended last season with a six-game unbeaten streak. They have one player who will know Guaraní well, the Argentine Danilo Carando was at Sportivo Carapeguá during the Apertura. I’ve been told by a Bolivian football expert that they ‘blow hot and cold’ and that inconsistency is evident in their away form in 2012, Pld 11 W 4 D 3 L 4, meaning the aurinegro will be hoping to catch them cold. Overall I feel the home team’s strength in midfield will be too much for their opponents and it should be a comfortable win. The draw took place at the Convention Center CONMEBOL in Luque, suburb of Asuncion, where the organizers explained to a small change in the format of the competition and this year adds a quota for eight more countries. Thus, Bolivia, Colombia, Ecuador, Paraguay, Peru, Uruguay, Venezuela and Chile, the latter featuring the defending champion of the tournament, the University of Chile, will have four representatives. Brazil and Argentina are held with eight and six representatives, respectively. The event also provided an opportunity to honor the likes of Jorge Burruchaga (Argentina), Ramiro Blacut (Bolivia), Pepe (Brasil), Leonel Sánchez (Chile), Marcos Coll (Colombia), Agustín Delgado (Ecuador), Saturnino Arrúa (Paraguay), Roberto palacios (Perú), Antonio Alzamendi (Uruguay) y Lino Alonso (Venezuela). One day before the draw took place the meeting of the Executive Committee of CONMEBOL, which was chaired by the president of this organization, Nicolas Leoz.